A modern take on the old-world charm of tap designs from earlier eras, this attractive, polished chrome bidet faucet provides you with complete flexibility of mixing with two separate hot and cold tap handles. The rigorously crafted faucet is based around the seamless cylindrical tubular pillar, from which the two matching tubular cross-head handles seamlessly branch out. 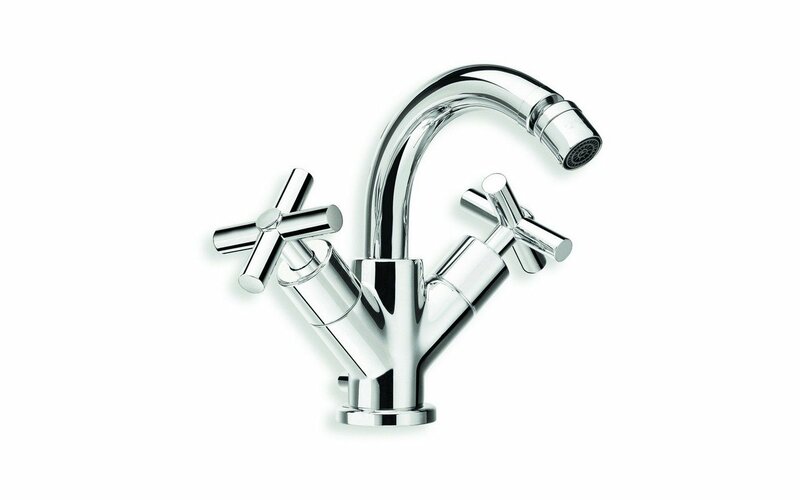 The faucet is topped by the curved tubular spout. 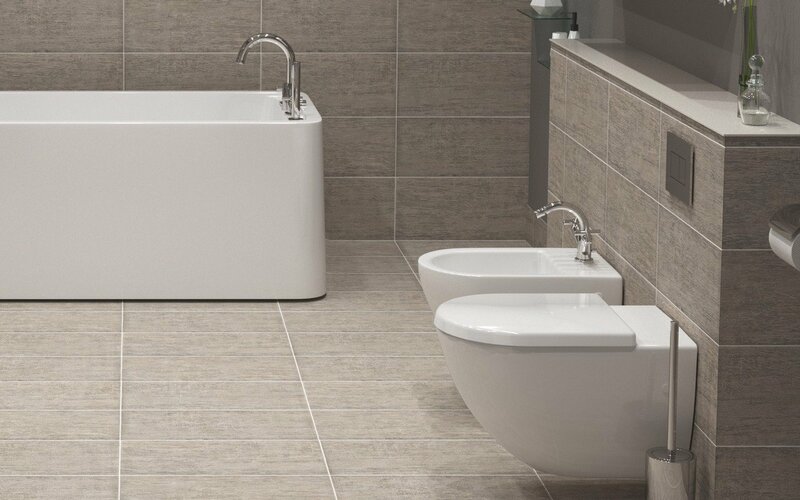 This all-in-one unit is ideal for both modern and more classic bathrooms as its clean lines, unadorned styling and smart polished chrome finish are adaptable to any decor. 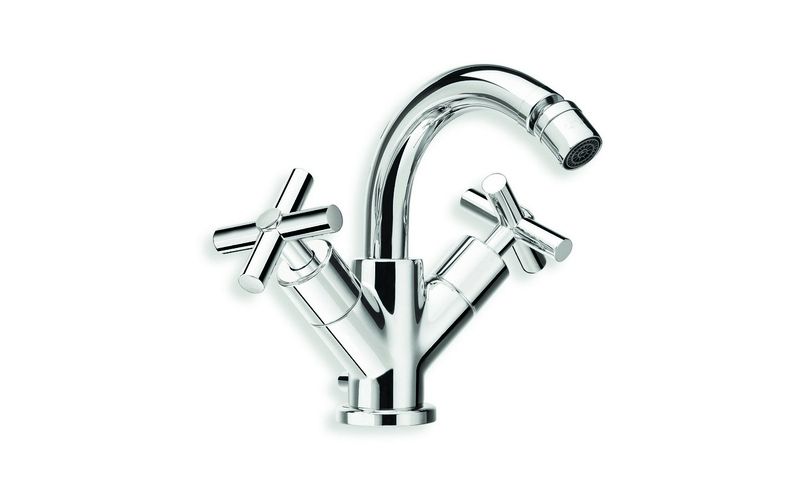 The Celine bidet faucet comes with a matching chrome 1 1/4” pop up waste for that reflects the same fashionably functional design.